the application of indemnity principle – whether there were costs to be indemnified by reason of the contingent costs agreement between the Applicants and their solicitors. On 1 October 2010, the applicants obtained freezing orders in the Supreme Court of New South Wales against a number of the respondents. On 23 June 2011, judgment was given by the Supreme Court against the first respondent in the sum of $1,099,456.74 with costs. In apparent breach of the freezing orders various dispositions of real property and transfers of shares were made by the first respondent, Mr El Ali. The applicants, who by this time included the Respondent’s Trustee in Bankruptcy, argued successfully in Royal v El Ali  FCA 782 that the dispositions were voidable transactions with the intent to defraud creditors, were set aside and were subsequently awarded costs. The respondents submitted that it was apparent that the applicant solicitors had failed to make a number of disclosures required by the LPA, with the consequence that there was no amount currently payable by the applicants to their lawyers as a result of the application of s 317(1) and, further, that a costs assessor assessing the costs payable by the applicants would apply s 317(4) of the LPA and most likely reduce the amount owing by the applicants proportionate to the seriousness of those failures in the vicinity of 20% to 40%. Davies J found that the section does not apply to a party liable for inter‑partes costs. As between party and party, the section gives no right to the party liable to pay the costs of the other party to argue that the solicitor/client costs of the other party should be reduced by reason of some failure by the other party’s lawyer in making disclosure to that party as required by statute: Catto v Hampton Australia (in liq)  SASC 231, Shaw v Yarranova Pty Ltd & Anor  VSC 567 at ; Waterfront (BVI) Limited v Prudentia Investments Pty Ltd (No 4)  VSC 669 at ‑. She further noted that, the applicants had not made any complaint to their lawyers that there may have been non-compliance with disclosure obligations and the evidence was to the effect that the applicants did not intend to have their solicitor/client costs assessed. In those circumstances, there was no basis for reducing the amount which the applicants were entitled to recover from the respondents because of alleged breaches of the disclosure requirements by the applicants’ solicitors. This appears to go against the findings of Gibson DCJ in Enterprise Finance Solutions Pty Ltd v Ciszek  NSWDC 314 and as a result, no reduction was made. We note that our fees will only be paid in the event that the litigation results in a recovery sufficient to ensure their payment. We note that we have agreed to act for you on the basis that our fees will only be payable out of any monies which we recover on your behalf. Any disbursements incurred in relation to your matters will be charged to you. Where it is necessary to retain a barrister or other expert, we will disclose to you their fee structure before, or as soon as practicable after, their engagement. I note that Chris Birch SC and Penny Thew will also be acting on a contingency basis. Disbursements paid to third parties such as experts’ fees, registration and filing fees and courier charges will be charged to you at cost. Usually, our bills will be rendered monthly. However, as we are acting on a contingency fee basis we will not render monthly accounts. The respondents submitted that these terms made the solicitors’ right to be paid fees contingent on the satisfaction of the condition precedent of “a recovery sufficient to ensure their payment” and that the Applicants liability to pay costs was therefore only triggered if they recovered some amount from the respondents and, moreover, an amount that was sufficient to enable those costs to be paid, which it was submitted had not happened. Based on dictum of Basten JA in Wentworth v Rogers, it was also submitted that to the extent that the Applicant’s legal liability to pay costs to their solicitors would be dependent upon obtaining actual recovery of costs awarded, the application of the indemnity principle would still be breached by an order for costs because there was no extant legal obligation to be indemnified when the costs order is made. Davies J, appeared to prefer the competing view of Santow JA in Wentworth v Rogers in citing Mainieri v Cirollo, of the Victorian Court of Appeal which found that the application of the indemnity principle does not depend on whether the contingency is expressed as a condition precedent or condition subsequent provided the client is contingently liable to pay legal fees “at the instant the costs order is to be made”. She found that in the present case, the applicants were contingently liable under their costs agreement with their solicitors to pay legal fees and disbursements for the legal services provided in relation to the litigation and the mere fact that the liability was contingent on sufficient recovery of moneys out of which to meet those costs did not mean that the indemnity rule would be contravened by an order for costs, because at the time when that order is sought the contingency triggering the liability had not been satisfied. 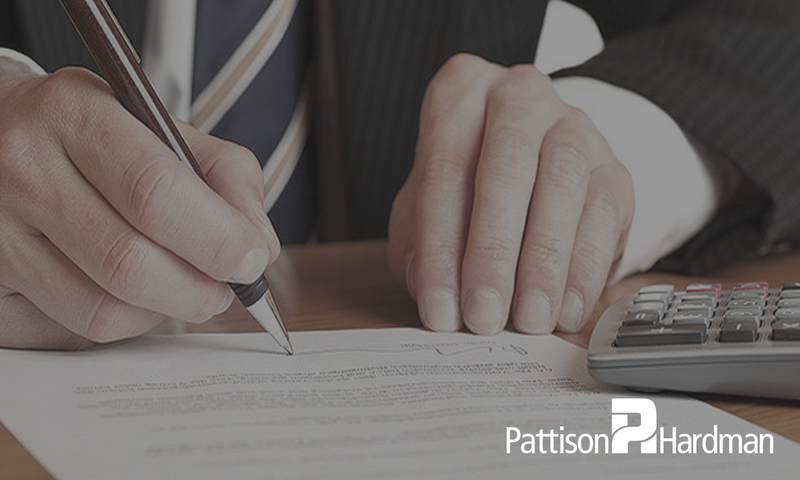 There was a contingent liability to pay fees and thus an obligation to be indemnified when the costs order was made. Both the Federal Court Rules and the Uniform Civil Procedure Rules in NSW give the Court the power to make gross lump sum costs orders in certain circumstances. A costs applicant, based on her Honour’s reasoning, need only show the existence of a contingent rather than an extant liability to pay its solicitor legal fees at the time the cost order is made. This would, it appears, allow solicitors to contract with their clients in those terms overturning the position held for the last decade. Further her Honour, in unequivocal terms, held that a breach of disclosure obligations under the LPA by a successful party does not impact on the recovery of its party party (or court ordered) costs due to a breach of disclosure obligations. However, how it would affect a matter with an underlying fixed cost regime where indemnity costs were ordered (e.g. under the Motor Accidents Compensation Act or Civil Liability Act) is unclear.